This Father’s Day, ASPiRE will feature special programming that showcases a range of fathers and reflections on fatherhood. “Bill-A-Thon,” a marathon of classic “The Bill Cosby Show” episodes, at 4-8 p.m. EDT leads into the world television premiere of the critically-acclaimed, conversation-starting documentary From Fatherless To Fatherhood, which thoughtfully explores the impact of missing fathers in the African-American community. 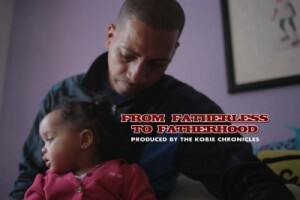 From Fatherless To Fatherhood airs on Sunday, June 16 at 8 p.m. and 9:30 p.m. EDT, and Sunday, June 17 at 1 a.m. EDT. In addition, Father’s Day on ASPiRE will be peppered with a range of compelling vignettes from the network’s original series “The Root 100,” which will feature film, television and music stars, including pastor Devon Franklin, activist Ben Jealous and actress Gabrielle Union, as they share personal stories about their fathers. Independent documentary film From Fatherless To Fatherhood explores the causes, effects and possible solutions to the absence of fathers in African-American community. Additionally, the film highlights Black men who are fostering quality relationships with their children, families and therefore, their communities. The film is rooted in the real lives of men, women and children and buttressed by the perspectives of multiple Grammy-Award winning gospel recording artist Kirk Franklin, Dr. Steve Perry (CNN’s Education Contributor), Reverend DeForest B. Soaries (CNN’s “Black in America: Almighty Debt”) and Jeff Robinson (MBK Entertainment). A Google+ Hangout with Brown and hip-hop artist/music producer David Banner to discuss the film is scheduled for Thursday, June 13 at Noon EDT on aspire.tv/hangout. Additional speakers and special guests will be announced. Please see www.google.com/+/learnmore/hangouts/schedule.html or www.aspire.tv for more details.